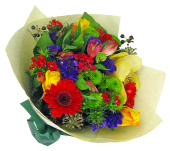 We realise it can sometimes be a hard decision on who to trust to send out your flower order. All kinds of questions pop up, such as - will they arrive on the right day? Will they look like the picture, or will there be substitutions? What happens if there's a delivery problem, and how will i know they've arrived? Let's face it, most websites are only going to show the best reviews for their own service, so in the interests of transparency and helping to give you a more informed purchase decision, we've come up with this page which shows UNFILTERED customer reviews. That's right, all of them! from customers who have given us permission to use them. We don't cherry pick the good from the bad. We're always grateful for the good reviews, it's really great when everything goes smoothly and customers are nice enough to take the time to let us know what a great experience they had. We're also ok with the bad ones, and fortunately they're quite rare, but it allows us to try and put things right and fix any underlying issues. 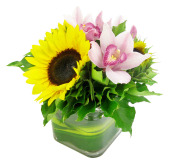 Thank you for the easily readable instructions on your ordering process and for the quick delivery of the flowers the next day. I appreciate the extremely professional manner in which my order was dealt with. Kind regards. The whole process was smooth and easy. 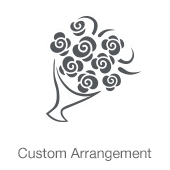 I appreciate the simplicity of the ordering and being informed that the flowers had been delivered. Would definitely use and recommend flowersacrossmelbourne again! Very easy to order from the otter side of the planet. If you want to send a loved one a surprise. Faster than a card. Prettig good! 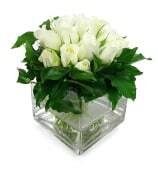 It was easy to order and delivery was prompt and good communication re delivery.Thank you! Although l didn't see the flowers in reality, apparently they were lovely. l would definitely use Flowers Across Melbourne again. My order had to be changed but the florist did a lovely job of preparing a bouquet that was appreciated by both the recipient and me. 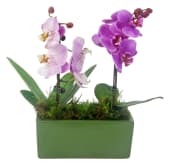 Ordering was fine but a little disappointed that the so called “flowers” were only buds when delivered. A bunch of buds aren’t quite as romantic as actual flowers! Beautiful range of gifts, user friendly online ordering system, fantastic customer service - flexible in accommodating changes to an order. Overall, very pleased. Especially appreciated the email to let me know when the delivery was made and who signed for it - no more guessing “I wonder if they received it already”. 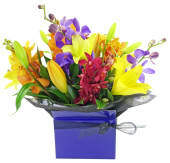 Thanks Flowers Across Melbourne! 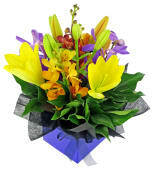 Excellent flower deliver service! 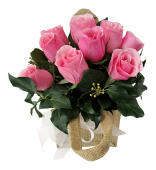 Website is easy to use and has many flower options for any occasion. Ordering is straight forward and easy as well. 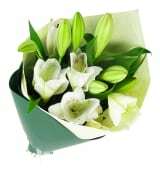 Ordered my flowers that night and delivery was done by 10am next morning. 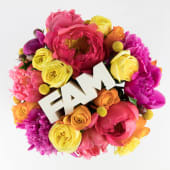 Thanks to the FAM team. I appreciated that I was informed all along the way of the progress of my order. The recipient was so thrilled when they arrived Just an idea, would it be possible for a photo of the order be sent to the sender so that they can also join in the enjoyment ? Very efficient and good communication via email! Sarah loved her colourful flowers - thank you. The follow up calls and communication with regard to delivering to difficult address was first class! The delivery was quick and recipient very happy. She said “lovely flowers”. Most flowers on the Internet were too expensive but I found a beautiful cyclamen in a pot which was the right price more lower priced plants or flowers would be good. The flowers i ordered were beautifully put together and delivered so fast. I chose the florists pick and was very dissatisfied. All white with 2 pink flowers included. The bunch was not what I expected for the money I paid. It was not put together nicely, in a way that was vase ready. Cut off times be more specific for out of city areas. I thought the cut-off time was 2pm as per the website but it was actually earlier according to the lady on the phone. So instead of thinking I had until 2pm it had already missed the cut-off. 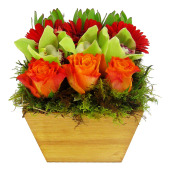 I wanted the same style of arrangement but larger however there was no option on the site to upgrade. Email notifications for delivery are a great service. 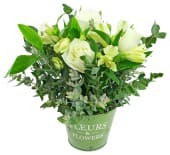 Love this site and delivery is always on time, efficient and the flowers are beautiful. I always use the site and will continue to do so. I really liked the ability to view the delivery real-time on a map. I was only able to do this on the first delivery though. 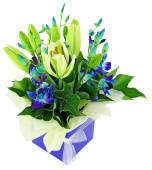 The flowers that were delivered were similar every month so a bit more variety would be good. My wife has loved having flowers every month - I bought her a nice Portmeirion vase and 6 months of flowers for Christmas. She raves about it to all her friends. Extremely responsive. Definitely worth endorsing. It was very easy and straight forward. The best part was my friend said the flowers were beautiful.